on this website for me, as well as my Brother Bandit's site. 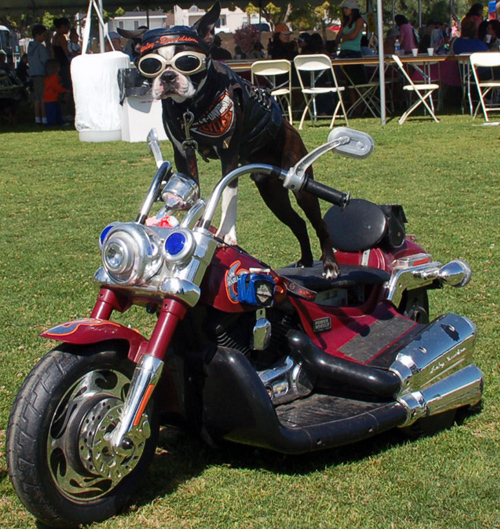 SAN DIEGO, CA - "I'm Bandit, a 7 year-old Boston Terrier. 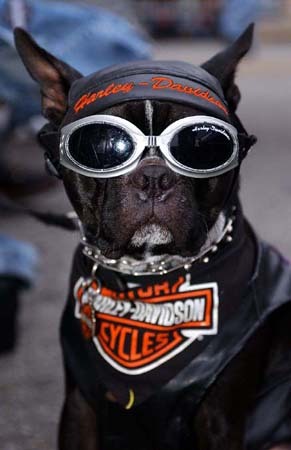 I was born to ride on a motorcycle and become Bandit the Biker Dog ™. I have been riding my full-dresser Harley along with my human, Mark Shaffer since February 5, 2002, when I was only 8 weeks old. No matter where the ride takes us, whether it's just a quick trip to the a coffee shop or a 4-day trip to the Grand Canyon, I always enjoy the wind blowing in my face and the sounds of the rumbling engine. 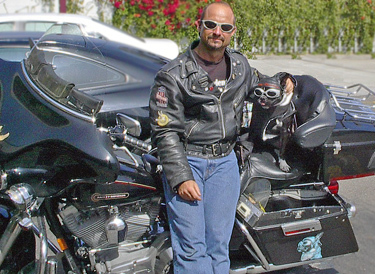 I have attended Bike rallies throughout southern California, and as far away as Nevada and Arizona." 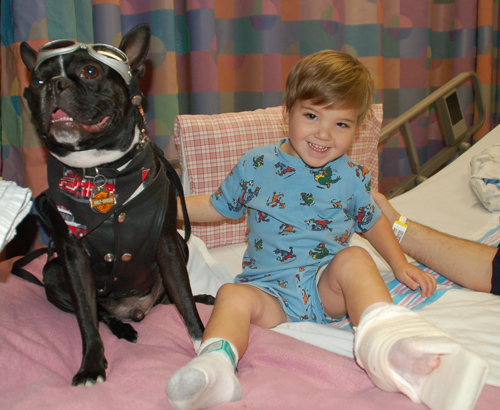 "But even a tough little biker dog has a soft side and a very large heart. One of my favorite activities (and something very close to my heart) is attending fund raising events throughout San Diego, Orange and Los Angeles Counties. Those most special to me are the events that support local Humane Societies and Animal Shelters, supporting Children's Hospitals and bringing joy to those precious children along with visiting the people in the San Diego Hospice. Also, I enjoy supporting the heroes in my community: the Police and Firefighters. These are people who go out and risk their own lives every day for each one of us, usually people they have never met or known. Sometimes in the course of their work tragedy strikes, taking them from their families and loved ones. They, as well as their families, need our support." Bandit passed away December 19, 2008 from brain cancer. May he rest in peace. Be sure to read, "This Is Why We Do What We Do"
All material on this site is protected by United States Copyright and/or Trademark laws. All rights reserved. 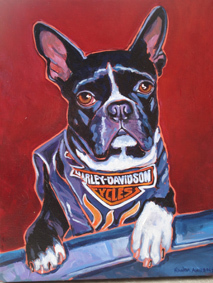 The name "Bandit The Biker Dog" and all images of Bandit in his Biker Clothing are registered with the United States Patent and/or Trademark Offices. Any unauthorized use of Bandit's image or likeness without written permission by the copyright owner is strictly prohibited. Contact Mark Shaffer with any requests or questions regarding usage of Bandit's image.